The Best Fine Dining Restaurants in Lakewood Ranch and Sarasota – A Night Out on the Town! With Valentine’s Day coming up, it’s time to start planning a wonderful night out on the town for you and your loved one. Once you’ve taken given your Wilde Land Rover Range Rover Evoque a good interior cleaning, you will want to take your date to one of the best fine dining restaurants in Lakewood Ranch and Sarasota for a night out on the town! Luckily this region is known for delicious and acclaimed food. This is a new-age Peruvian restaurant located in the bustling heart of downtown Sarasota. 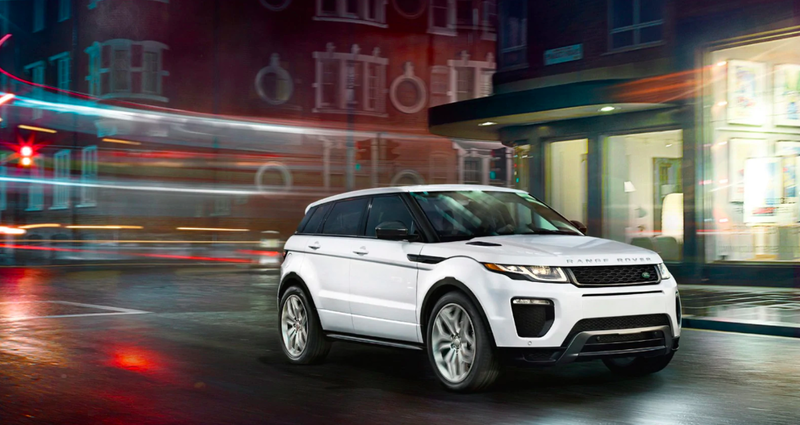 You can park your Range Rover Evoque in one of the nearby parking garages and walk to the restaurant. A multi golden spoon award winner, Selva is known for delicious and creative cocktails and delicious skirt steak. Antione’s Restaurant offers seafood and french cuisine and is considered one of the best restaurants in Sarasota according to TripAdvisor. It also offers vegetarian, vegan, and gluten free options. Located near Ed Smith Stadium, its a perfect date night after a day of baseball! Indigenous is known for their conscientious sourcing of local, sustainable and seasonal ingredients that are composed, prepared and presented in a unique way. The restaurant is located in the historic Towles Court district in downtown Sarasota. This upscale modern Mediterranean restaurant is located in the heart of downtown Sarasota. After you park your Evoque in a nearby parking garage, you can walk to the restaurant on Main St. The Capital Grille, located in University Town Center, is a favorite steak house chain that is perfect for a night out! The lights of UTC will shine past your Evoque’s window as you and your date drive to enjoy delicious seafood. Now that you know about some of the best fine dining restaurants in Lakewood Ranch and Sarasota for a night out on the town, it is time to check in to make sure your car doesn’t need any service. Nothing like a car problem to ruin a night out. If you need to schedule service on your Wilde Land Rover, you can call us today. Our dedicated staff is always here to work for you! For more Wilde Land Rover news, Follow us on Twitter or Like us on Facebook. 0 comment(s) so far on The Best Fine Dining Restaurants in Lakewood Ranch and Sarasota – A Night Out on the Town!